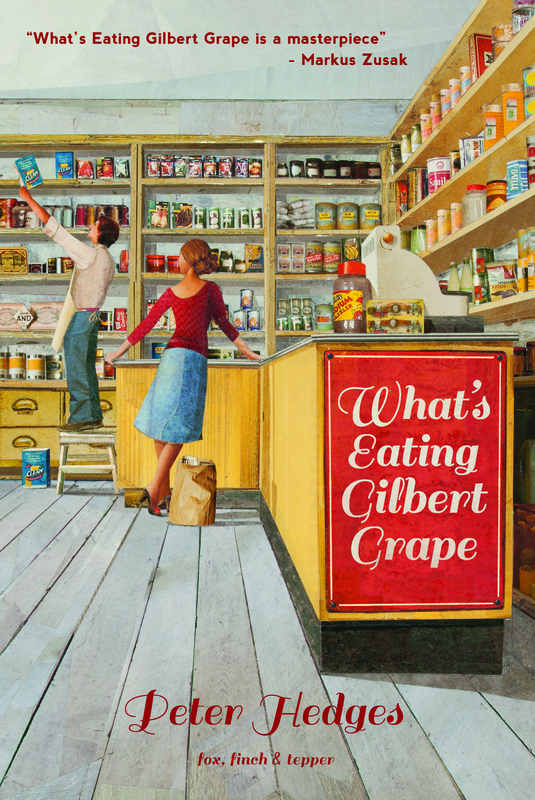 We’re thrilled to be introducing Peter Hedges’ debut novel “What’s Eating Gilbert Grape” to UK readers. It’s a book that we came to via the critically acclaimed 1993 film adaptation, which saw Johnny Depp as the troubled, brooding Gilbert and a baby-faced Leonardo DiCaprio as his mentally-disabled brother, Arnie. Fellow fans of the film will already understand why we fell in love with the story of Gilbert and his dysfunctional life. This is a novel about family, about brotherly love and about a young man, wracked with desires beyond his dwindling hometown, but stranded by his sense of duty. It’s a funny, moving, quirky novel full of quintessentially small-town characters, family dramas and emotional twists and we’re so proud to be able to introduce it to new readers. You’ll find lots more information about the narrative of Gilbert Grape over on our book page, but for now I thought I’d tell you about some of the cool/weird/brilliant stuff that happened behind the scenes when we were publishing this book. One of my favourite elements of working on a new Fox, Finch & Tepper title is coming up with a concept for the cover. We all crowd around my messy desk and think about key elements of the book and how we’d like a reader to perceive the story from its cover. We’re never usually stumped for ideas, although the quality of the concepts at this point can be pretty varied! Some of the ideas that didn’t make the cut for the Gilbert Grape cover included: a car weighted down on one side (read the book to find out why! ), a fairground merry-go-round and a design which would have been a massive spoiler for the story’s ending. When we happened upon the idea of a shop, I instantly knew who we should ask to do the design work. We all remembered Marian Hill’s striking cover for “Tomorrow, There Will be Apricots”. It was a book that sat proudly on our table a few years ago, and which we all commented on. It was striking and different and also wonderfully voyeuristic, which was perfect for our grocery store concept. What made working with Marian even more special is the fact that she’s actually been a Mr B’s customer for many years and lives locally. This meant she was able to deliver her amazing artwork to us in person, to add extra details as our ideas shifted. And on the day when the books arrived back from the printer, I was able to hand her a copy and see her reaction. Marian works in collage and the original artwork for Gilbert really is something incredibly special. From a distance you might not realise how it has been constructed, but when you’re up close it’s a thing of true beauty: hundreds of tiny pieces of card, each one cut and carefully arranged by hand to create a scene in a quiet American store, where a woman is flirting with a shop assistant. Apart from Marian’s gorgeous artwork, there’s another element of our Gilbert Grape cover that I’m particularly proud of and that’s the endorsement tagline from one of our favourite writers: Markus Zusak – the author of “The Book Thief”. A book’s tagline, much like it’s cover, is something that we begin thinking about very early on in the publishing process. This is because if you’re asking an author to comment on a book, quite often you’re also asking them to read it, and of course, you need to allow a reasonable amount of time for this to happen. The thing is, with Markus Zusak we knew that he’d already read and adored Gilbert Grape – my colleague Emma who is excellent and keeping tabs at what’s going on in the book world had spotted that Markus had listed Peter Hedges’ debut novel among his top books over on his Good Reads profile. With this fact in mind, we had high hopes that getting Markus to pass comment should be a straightforward thing… the only slight flaw in our plan was that we had no direct contact link to Markus and he lives in Australia. Cue, a handwritten letter to a bizarre very unlikely seeming address (tracked down by a bit of super sleuthing)! I was beside myself with excitement when a couple of weeks later I logged in to my inbox to an email from the man himself who was (almost) just as excited as we were about our edition of Gilbert and who generously passed on his thoughts. With Markus’ tagline, Peter’s writing and our contractual arrangements with Peter’s USA agent, our UK edition of “What’s Eating Gilbert Grape” came about with the help of lots of international parties and yet it still feels oddly like a very local project. As a small publisher we do so much of the actual day-to-day stuff ourselves, from typesetting the text, to finishing the cover design, to arranging distribution and all the other not so glamorous aspects of the process. It’s fantastic because by the time a book goes to print you really feel as though you know it inside out. Add to that the fact that we got to work with a Bath-based artist on our cover and that the book was printed (as all of our books have been) down in Cornwall by the team at TJ International and you’ll see where that local flavour emerges from. But something that was quite special about printing Gilbert Grape in particular, is that we were lucky enough to have the cover printed just down the road from Mr B’s in Corsham at Park Lane Press. 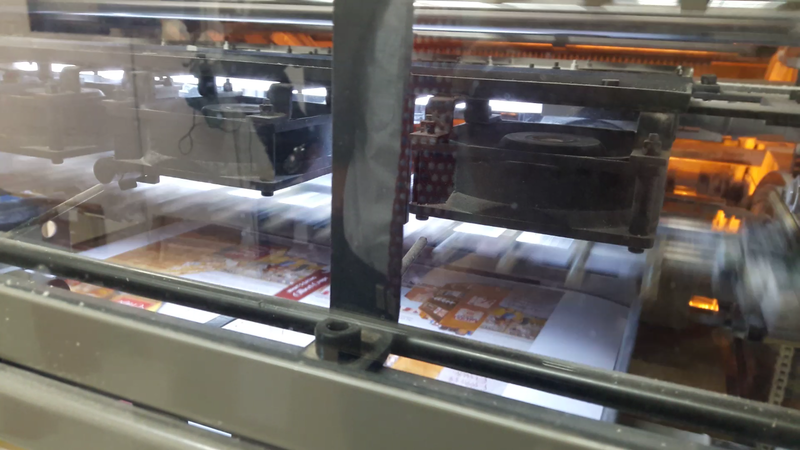 This meant that not only did I get to see lots of glorious sheets of Gilbert Grape covers gliding through huge printers, but I also got to press the button that set the whole thing in motion. Now that Gilbert has arrived back from his adventures at the printer I can’t wait to discuss his story with other UK readers. So if you’d like to chat about Gilbert’s crush on Becky, Mr Lamson’s grocery store, Arnie’s water tower climbing exploits, or Momma’s insatiable appetite, do drop us a line, pop into Mr B’s, or leave a comment below.